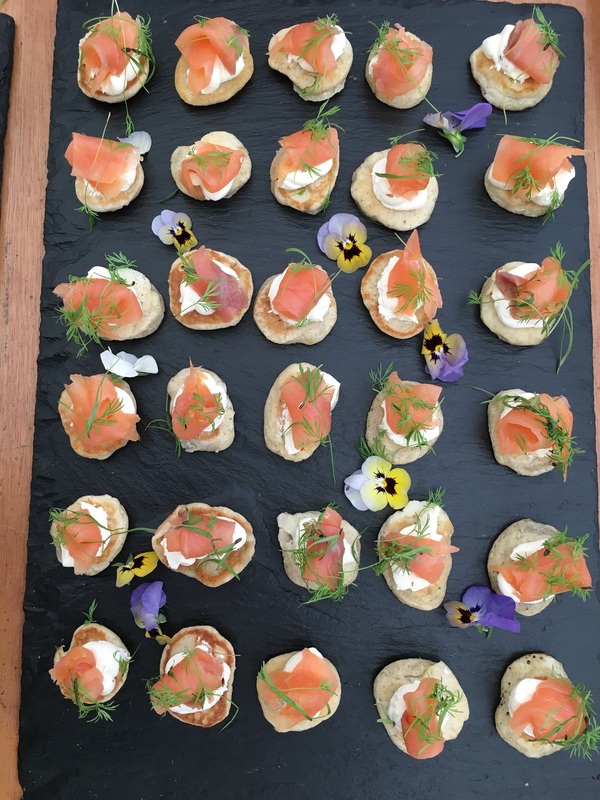 On Saturday 6th October, we had the pleasure of returning to a family home in Woodbury near Exeter by kind invitation of Mr B , to cater for a very special family gathering. In the summer of 2017, we catered for the wedding of Mr B’s daughter. Needless to say, we were delighted when Mr B got in touch to invite us back to Woodbury, near Exeter, once again. Mr & Mrs B both celebrated their 70th birthdays this year, and so decided that a family gathering would be the perfect way for the family to come together for a big reunion. Friends and family travelled from around the world, with guests flying in from Europe and even Australia! 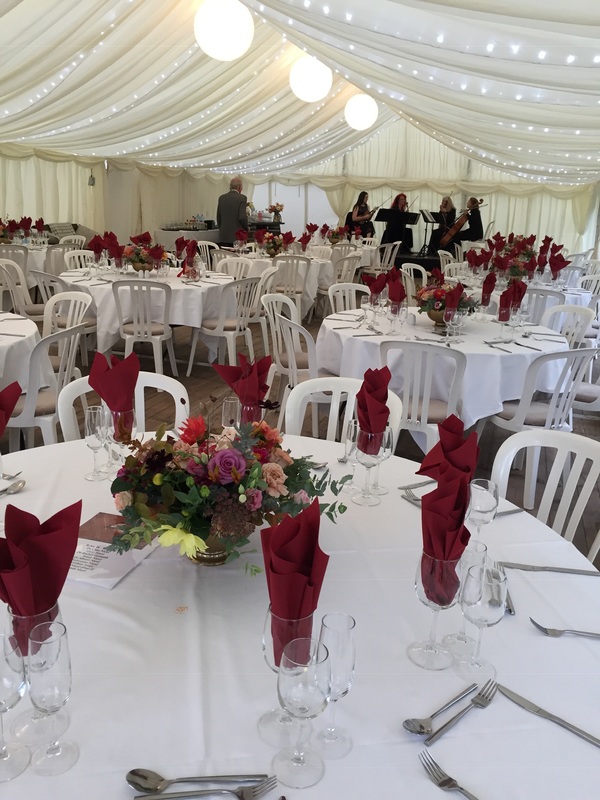 Marldon marquees erected a lovely, light marquee with a solid wood flooring, perfect for the inclement October weather. 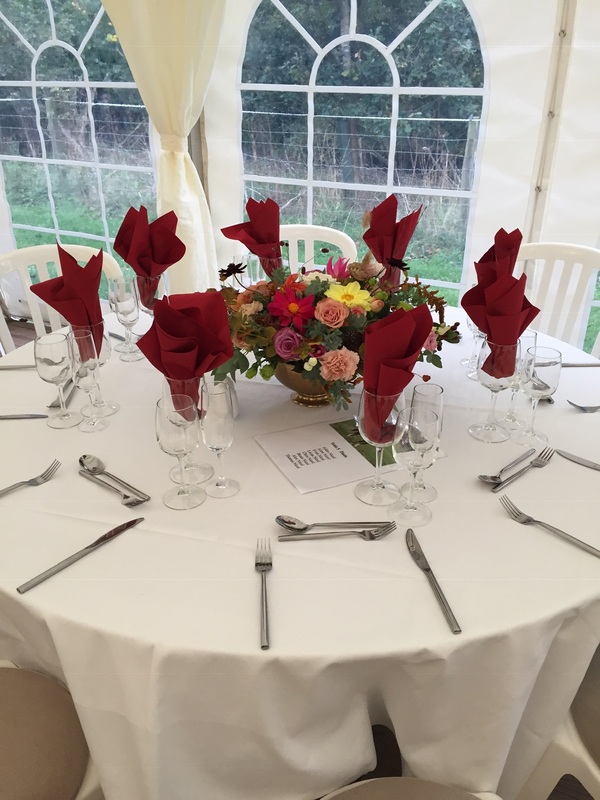 Hay bales were scattered around to offer some additional seating and autumnal floral arrangements added a splash of colour along with the burgundy napkins. The guests arrived to beautiful sound of a string quartet. 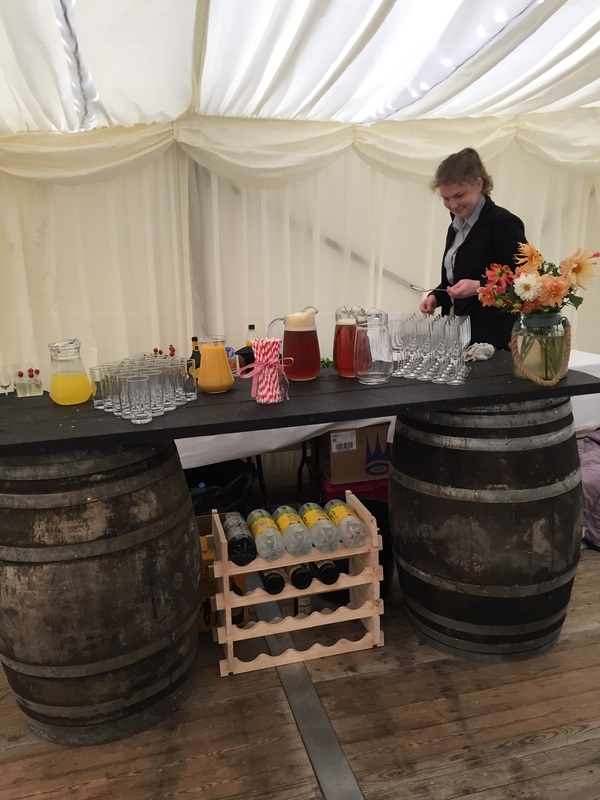 We greeted them in the warm marquee with a glass of bubbly or Pimm’s and lemonade garnished with fresh fruit. 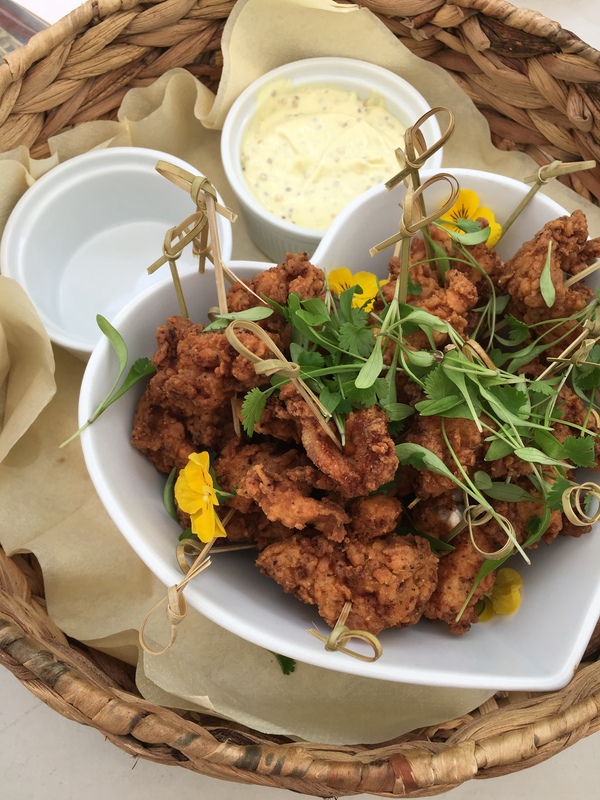 …miniature butchers sausages with a honey and wholegrain mustard glaze; and crispy chicken skewers with mustard mayonnaise dip. The dinner menu was designed with seasonal, local provenance in mind, starting with roasted loin of pork with crispy crackling sourced from our butchers here in Okehampton, homemade apple sauce, sage and onion stuffing, Cornish jacket potatoes, and carrots, broccoli and green beans from the Tamar Valley, all served with jugs of rich pork gravy. For those seeking a vegetarian option, we also served a butternut squash, pecan and stilton wellington with a madeira sauce. 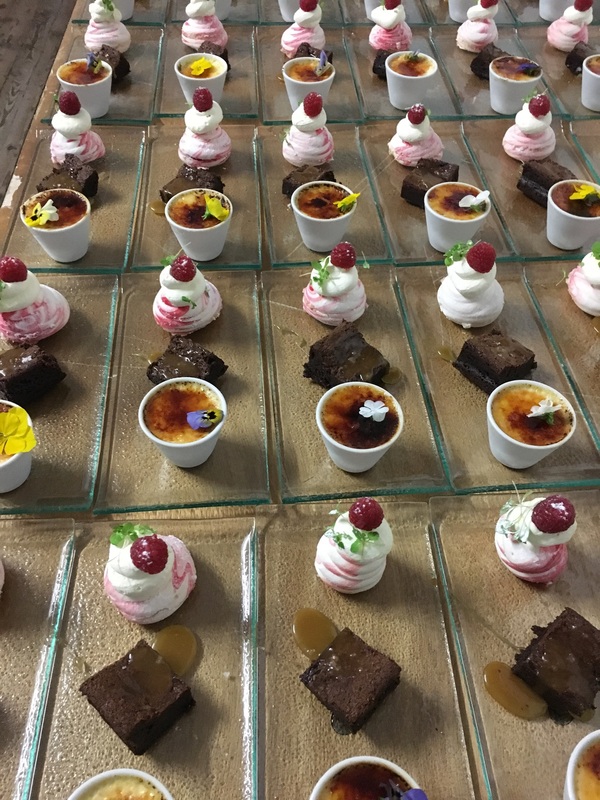 To follow for dessert, we served a trio of desserts including classic creme brulee, chocolate and salted caramel brownie and baby raspberry pavlova along with bowls of Devon clotted cream. To finish, we poured steaming cups of fresh filter coffee and freshly brewed English breakfast tea and a glass of Prosecco ready for Mr B’s son, to give a speech. 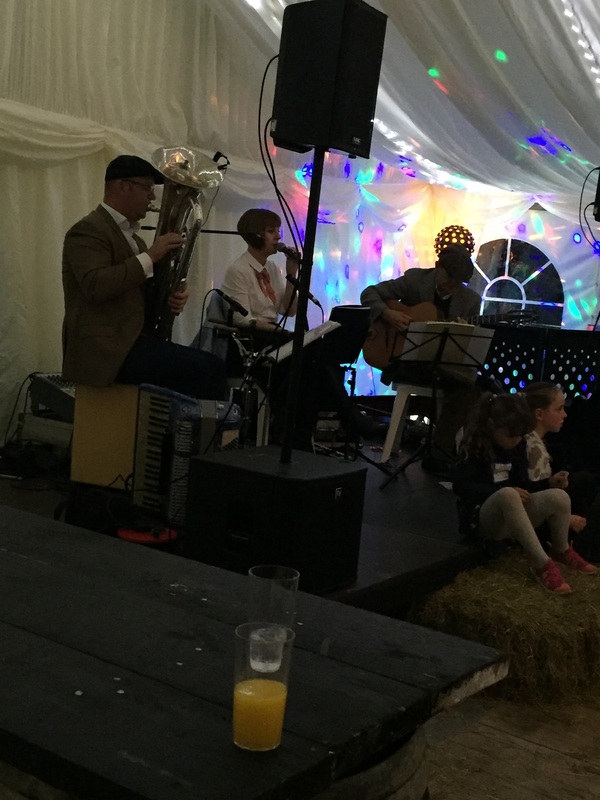 In the evening, Mr B introduced ‘The FB Pocket Orchestra‘ who played two mesmerising jazz band sets that had everyone in applause. As guests continued to catch up on years of stories, we laid out a platter of Westcountry cheeses: Quickes goats cheddar, Devon blue, Tickler mature cheddar and Somerset brie with an assortment of wafers, celery, grapes and our own homemade chutney and port for guests to nibble on. 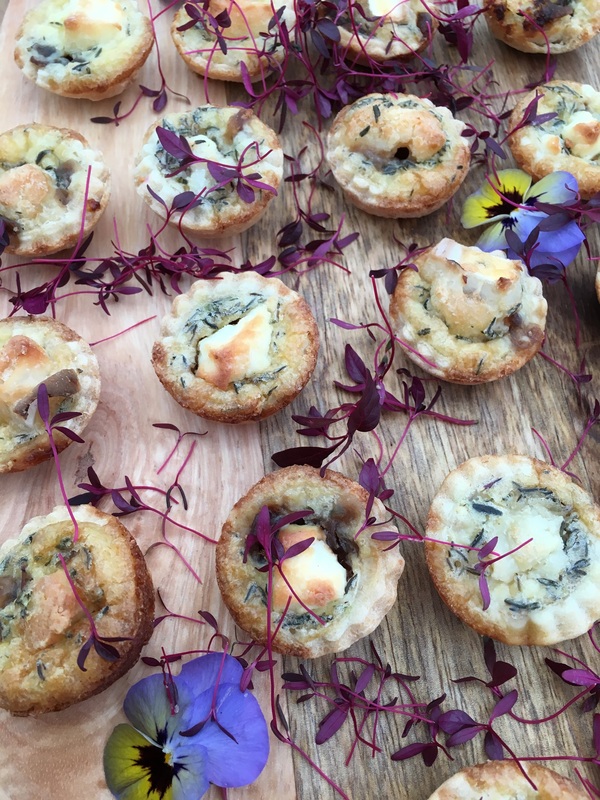 Thank you all for allowing us to be a part of your celebrations and reunion; we thoroughly enjoyed looking after you. If you are thinking of having a family celebration, whether it be a family reunion, birthday party, wedding anniversary or any occasion, please get in touch, we would love to talk to you.